St. Sebastians College Moratuwa clinched the All Island under 15 division two cricket championship by beating Kirindiwela Central by seven runs in the final played at Royal College grounds conducted by Sri Lanka Schools Cricket Association for the Singer Trophy. Sebs were captained by Thihaisha Mendis and his vice captain was Nishane Fernando. In a total of eleven matches they won eight matches to reach the finals. In bowling Tyrell Baskaran and Crishen Bandara excelled with 28 and 27 wickets respectively while Nilash Perera got the highest aggregate including a scintillating unbeaten 123 runs. 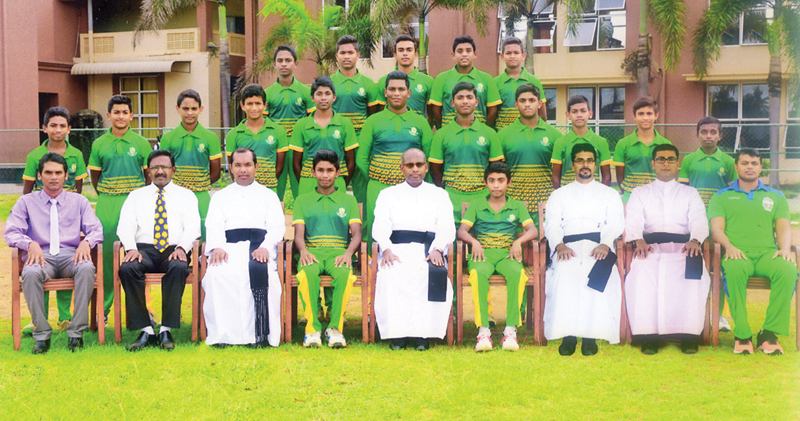 They were coached by Kanishka Perera while Samith Fernando as his assistant. The guidance, support, help and encouragement extended by the cricket loving Rector of the College Rev.Fr.Ranjith Andradi and the prefect of games Rev. Fr. Indunil Sampath went a long way for the team emerging as the best team in the island.